Check out our wrap-up video for last year's VBS. Vacation Bible School is a BIG DEAL here at University Baptist Church! We love kids; we love teaching them, singing with them, playing with them, and most of all worshiping with them! Vacation Bible School is as much a ministry to our volunteers as it is to the children who attend. Every person who enters our building the week of VBS leaves feeling full love, joy, and God's spirit! 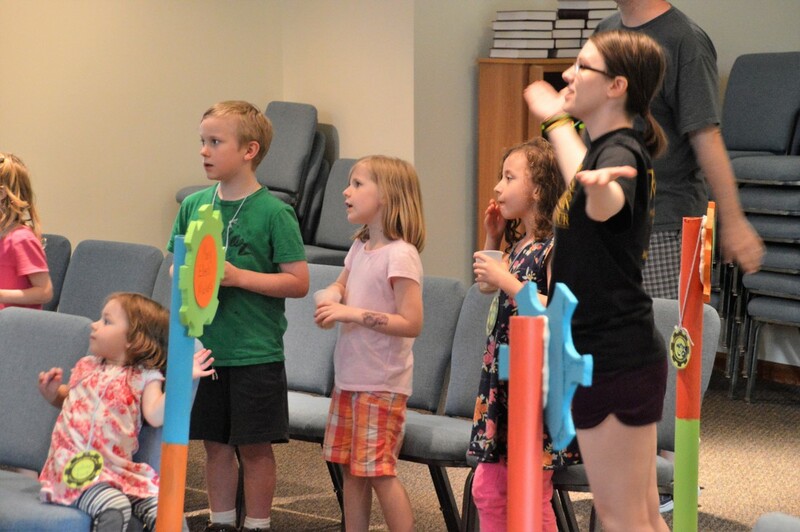 Click on the links below to see some of the more recent fun times we've had here at VBS.